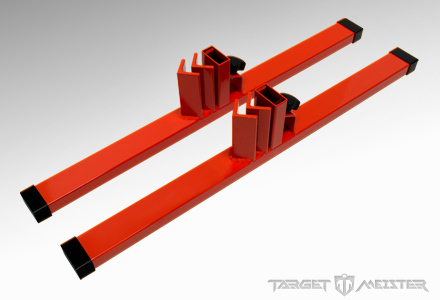 Prototype model of the Dirty Harry Target Stand. Prototypes may be production stands that have cosmetic defects or be out-of-spec. These stands are production units that have cosmetic defects or are out-of-spec. They are 100% fully functional target stands. These six units have an orange peel or dull finish. For details, see the main Dirty Harry Target Stand page.